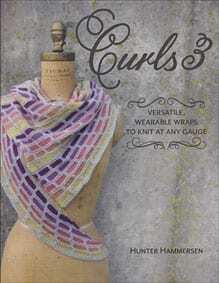 Curls 3: Versatile, Wearable Wraps To Knit At Any Gauge - Infinite Yarns, Inc.
Each of these 11 new patterns creates a delightfully curved shape that drapes beautifully around your neck and shoulders. They're easy to wear in lots of different ways, work at any gauge, and can be knit to any size. Let your favorite skein of yarn determine your gauge and the size of your project. Make a cowl, a scarf, or shawl. You're in charge, and you're going to love the results.